Nail Biting, Hair Pulling, Skin Picking (Also known as Onychophagy, Trichotillomania and Dermatillomania ) Why Do I Do It? 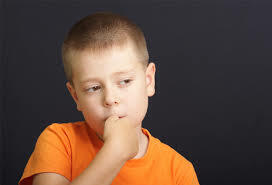 Nail biting is a common issue of childhood that often extends into adulthood and can make us very self conscious about people seeing our hands. Nail biting was recently added to the Diagnostic and Statistics Manual and placed into the same category as OCD (Obsessive Compulsive Disorders) along with Hair Pulling ( trichotillomania) and Skin Picking (dermatillomania). These are also known as forms of pathological grooming. These grooming behaviours stem from normal grooming behaviors such as removing a broken or jagged nail but then become out of hand so that the behaviour is exhibited even though there is no real need for it. Usually this behaviour is started with a trigger e.g. stress, fatigue, boredom but overtime the behaviour becomes 'self sufficient' and is present even when there are no obvious triggers; so it's a behaviour for which the on/off switch is not wired correctly. What makes it different from OCD is that people with OCD consiously believe and feel they have to do something or something bad will happen, where as people with pathological grooming habits are seeking a feeling of satisfaction, a somewhat off kilter sense of reward. This is why nail biting is often a learned behaviour, i.e. a child will observe an admired adult doing it and will mimic the behaviour until it becomes a habit for them too. Sometimes when young we associate the behaviour with something cool e.g. with intense thinking, being introspective. ​Nail biting, hair pulling and skin picking can be passed down through our genes too, although even if there is a history of nail biting in your family studies show that you are still only 80% likely to adopt the habit based on genetics alone. Nail biting is not a life or death issue, some people are quite comfortable with the habit and have no desire to overcome it. However for some people it becomes a big issue as they feel self-conscious about he appearance of their hands, they may be in an profession where appearance is important, they may not want to be perceived as nervous etc. Skin picking and Hair Pulling can become very debilitating as it becomes harder and harder to explain or disguise. Hair Pulling and Skin Picking can become more debilitating with quite severe damage being inflicted. Often the signs of hair pulling and skin picking has to be disguised with cosmetic interventions such as hair extensions, make up concealer, long sleeves etc. and will leave the person feeling very self conscious and worried that people will notice the extent of the damage. In my experience these behaviours often come from an imprinted experience which has resulted in a feeling of shame or a belief that punishment is deserved. The memory of the experience might even seem insignificant to the person now but at the time the feeling it elicited made a very powerful imprint on the brain and the coping or self soothing mechanism that the brain decided on at the time was to pick the skin or pull the hair, so that the persons focus went to that rather than to having to deal with the emotional disturbance. When the brain registers that this mechanism helped you 'survive' that situation it may generalise the behaviour and initiate it to deal with any uncomfortable feeling or situation. Each time we repeat a behaviour we reenforce the neural pathways that it follows. In my sessions I use Clinical Hypnotherapy, Counselling, EFT (also known as Tapping) to release the stuck emotion associated with the initial experience and then to retrain the brain to process emotional fluctuations in a healthier way. I teach my client various pattern interrupt techniques to stop the build up of the compulsion to pick or pull while their brain is creating the new neural pathways required to process emotions more effectively. ​If you'd like to know how I can help you please give me a call on 0435 923 817. I typically recommend a minimum of 4 sessions for these issues, however for some people more may be required as there may be a variety of underlying issues to resolve and to build the new pathways for a healthier happier person free of the compulsions to pull hair and pick skin. Effective treatments require commitment. Hypnosis or Hypnotherapy, as well as EFT (Emotional Freedom Technique) is highly effective at helping people stop the nail biting habit as well as in addressing Skin Pulling ( dermatillomania) and ​Hair Pulling ( trichotillomania). Hypnotherapy creates a new awareness of behaviours that have become automatic and in so doing gives the client the moment of pause and control required to create alternative healthier, more desirable behaviours and outcomes. If you would like to chat with me about how I can help you overcome Nail Biting, Skin Picking or Hair Pulling please feel free to give me a call on 0435 923 817 today or use the contact form above. I look forward to helping you stop the unwanted behaviour.